12 Şubat 2019 Salı 03:00 - 7 reads. Señor Faúndez, what's the name of the President of Venezuela, Nicolás Maduro or Juan Guaidó? at The Moment we have two presidents. Maduro says he was, because he was elected last year. 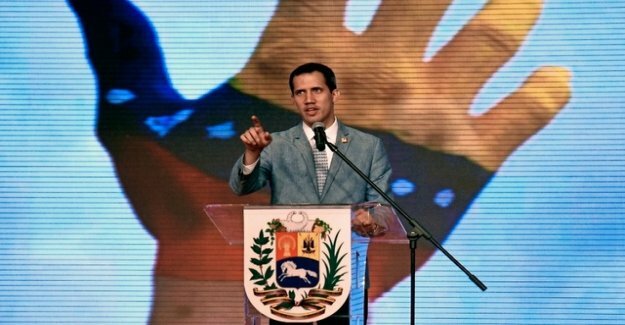 Guaidó claimed that he was the President, because there were 2018 no elections, as provided for in the Constitution. Their dispute revolves around the question: Was it 2018 a choice? there Were elections? Yes. There were elections in accordance with the Constitution? Not really. It starts with the fact that Maduro chose the date arbitrarily to months. It is not in the Constitution that the President can decide when it just fits, that is chosen. In addition, leading opposition were not able to attend politicians, because it proves the prohibition, either with a professional, in prison or in exile. In the Constitution is that the President is allowed to choose his competitors. so Who is the legitimate President? the concept of legitimacy is not politically, legally. It is important, not on what choice of Maduro or on which article in the Constitution Guaidó refers. In international law there is the principle of effectiveness. The recognition of a government is determined in case of doubt, to the question: Who exercises effective control in the country? There are three criteria: Who is the population? Whom the institutions of the state obey? And who has the resources to exercise Power, i.e. money. Who is controlled accordingly, Venezuela? In the case of Maduro you can definitely tell that he has lost the support of the population. But who sits in the presidential Palace Miraflores? Maduro. And who has the bayonets? Maduro. To whom the institutions listen to? At the Moment, still on Maduro. Then the situation is clear. but If you have no money and no support from the people, then it can't last forever. What will happen when Maduro can't pay in the next 14 days the salaries of state employees? How long will the loyalty of the generals will keep, if you realize that you are no longer involved in the oil deals, because there are no oil deals? What is it, if, here soon to run out of gas? How long the army is blocking humanitarian aid to the Colombian border, if behind the bridge of people waiting who are hungry? a coup d'état in Venezuela Is in progress? clearly: Yes, in Venezuela, a coup is in progress. But the is on the part of Maduro, who has accepted the Constitution never, and a kind of parallel state is established. The coup took place when the government lost by the end of 2015 parliamentary elections and then not a single act passed by Parliament was implemented. The next step was to create a constitutional Assembly, which produced never a draft Constitution, but the duties of the Legislative branch executes. If there is a reason that Guaidó on the Basis of the Constitution, President's call, then it is this coup that is for 2015 in progress. Is it right that Guaidó trying to overthrow, with the support of the United States Maduro? once again: It is not a question of the application of a particular article of the Constitution, but of power politics. If Guaidó would not have been within a few hours from half a continent recognized, had his oath to the Constitution, it would have no effect. And clear: everything points to the fact that he dared to only because he had from Washington to the commitment. for many, however, have a Problem. I am not a member of a party, but I identify with social democratic ideas. To me, this ultra't like right-wing governments in Brazil and Colombia. But under the governments that support Guaidó, are not only Ultra-right. As Canada, Peru or Ecuador. This is not a question of right or left. It is in Caracas to a government that oppresses its people, because it calls for freedom. Maduro is not a socialist, but a tyrant. If I have to, but with the left-thinking friends in Europe speak, I am struck by how difficult it is for you to understand that the Chavism was never a left-wing movement. Hugo Chávez was never left, but populist. He came in 1999, with a discourse of the third way. Only after three, four years, he has sold successfully as a socialist, and the Left the world's a lot of damage inflicted. What is left for you? The idea of social justice. After twenty years of Chavism, the poorest Venezuelans are not ascended but social. You start to feel worse. The poverty has increased. Venezuela today is around the level of the sixties. What do you think of a US Intervention? Each of the Venezuelans, who has two eyes and a clear brain, on the other hand is. I don't think there will be such an Intervention, so Donald Trump crazy it might be. I think that Maduro will before fall. But Guaidó blocked any dialogue towards a negotiated solution. of Course! What should you negotiate here? According to the human rights organisation Foro Penal, there are almost 900 political prisoners. Can you negotiate that? According to the Motto: Hey, why don't you let them half of them? You could be talking about an Exit strategy for Nicolás Maduro. I have heard that there are two Cuba are niche aircraft ready to take him out. If he should decide to run, will he stop? How do you imagine the last day of Maduro? One Morning we will Wake up with the news that the doors of Miraflores are open and nobody is inside. Maduro travels very much, especially to Havana. My tip: The next trip of Maduro will be without a return ticket.